...an updated 8.8-inch touch operated display supporting an revised operating system for the iDrive infotainment system. Buyers can choose between a standard six-speed manual or an optional eight speed automatic in most models. Alongside standard rear-wheel drive, the more powerful engines can also be allied to an optional four-wheel drive xDrive system. 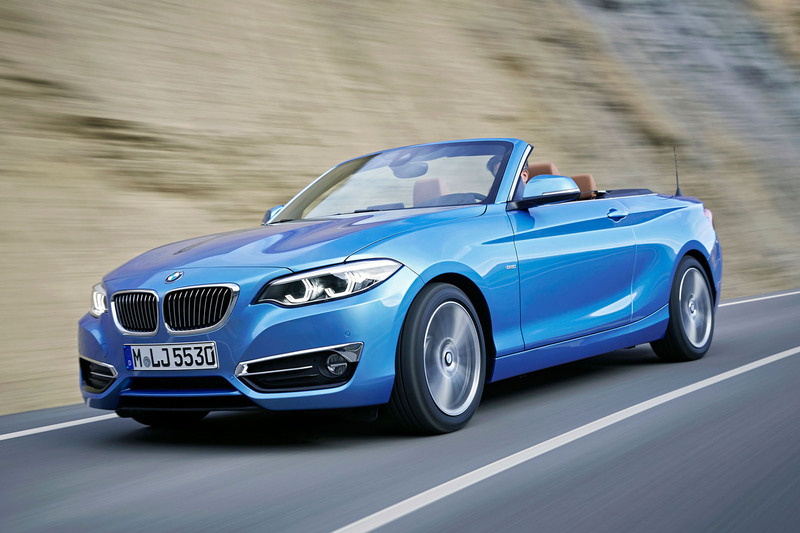 The revised BMW 2 Series Coupé and 2 Series Cabriolet models have been revealed ahead of UK sales starting this spring. Among the subtle exterior design changes to BMW’s entry-level two-door models are a wider kidney grille, new LED headlights, revised tail-light lens graphics and redesigned alloy wheels ranging from 16 to 18in. Inside, the Coupé and Cabriolet also get a lightly altered dashboard with redesigned instruments and an updated 8.8in touch-operated display supporting a revised operating system for the iDrive infotainment system. The subtlety of the facelift is reflected in the engine line-up, which remains the same as before; the petrol units range from a 134bhp in the base 218i to 335bhp in the top of the line M240i, while the diesels extend from 148bhp in the 218d to 221bhp in the 225d. Buyers can choose between a standard six-speed manual or an optional eight-speed automatic gearbox in most models. Alongside standard rear-wheel drive, the more powerful engines can also be allied to an optional xDrive four-wheel drive system. At the top of the line-up is the facelifted M2. It benefits from the detailed design revisions brought to the exterior and interior of less powerful versions of the 2-series Coupe, while retaining the same 365bhp turbocharged 3.0-litre in-line six-cylinder petrol engine as before. 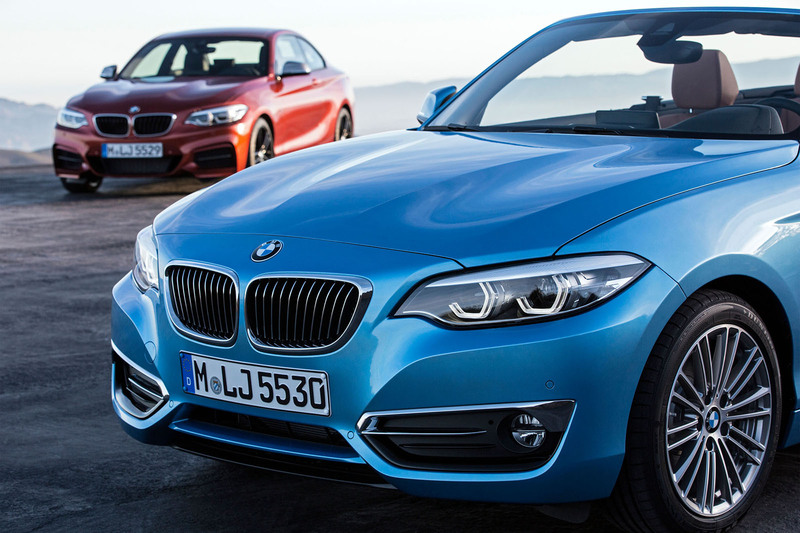 Prices for the various 2018-model-year 2 Series Coupé and 2-series Cabriolet models are yet to be made official, though BMW officials suggest they will remain close to the current prices, which start at £23,530 for the 218i SE Coupé and rise to £35,865 for the M240i. Not sure about the new grille. It looks a little.... Dame Edna? but no mention in the article? We have hatchbacks then turbos (2002 accepted) 4wd and FWD and 4 pot turbos for executive class vehicles...does this company have any principles anymore? Not such a strong a supporter of this brand any longer. I assume the new range will share the current model's high pricing along with ~25% discounts via. popular car brokering websites? 4wd - but for which engines? Interesting. I'd like a high output 4wd petrol variant. I appreciate I'm likely in the minority, but other markets get the 3 and 4 series with big petrol engines. CTRL+S is a windows shortcut keys which is used for saving a files in a system. windows shortcut keys So if you want to save your files then you should use this windows shortcut keys. If you want to refreshing your computer system because after a long time use then many mallware are coming in computer system from delete history of bing internet so you want delete bing histories permanantely. The car series of this brand is going famous all over the world. At the same time, the assignment help uk review explains it is the most expensive one right now. But when you pay you to get that.